Our new Versailles Bedroom Lingerie Chest appeals to a wide range of consumers. Contoured wrap around molding on combined with clean classic lines adds elegance and charm. 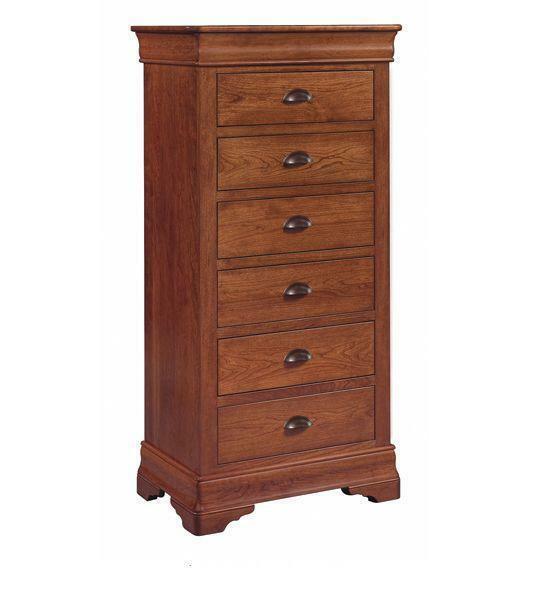 Available in a wide variety of solid woods and finishes, you are sure to find a combination for your suite. Drawers are all constructed using dovetailed joinery. In addition to that, all drawers are self closing and mounted on full extension drawer slides for your convenience. Get yours today and appreciate the storage space that you will have at your disposal for many years to come!